At least 133 people have died on tea estates in Assam, north-east India, after drinking poisonous alcohol, officials have said, with a further 200 hospitalised. 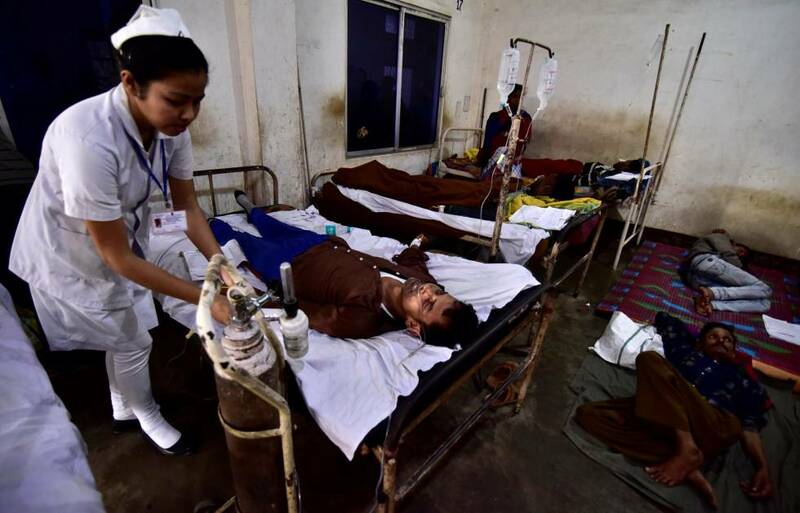 Earlier, Assam’s health minister, Himanta Biswa Sarma said he was being notified about a new death almost every two minutes and said another 200 people were in hospital, many of them in critical condition. There was confusion over the death toll earlier as it only related to hospital deaths and did not take into account victims who had died elsewhere, and the fact the two districts where the tragedy took place on Thursday night – Jorhat and Golaghat – are about 180 miles (300km) from the state capital of Guwahati. Doctors from other towns have been rushed to the area as hospitals have been struggling to deal with an influx of patients vomiting, suffering from stomach pains and having convulsions. About a dozen of the dead are women and many of them were tea plantation workers who had just received their wages. Local reports suggested the hooch – a brew called “sulai” usually made with jaggery and ethyl alcohol – was made by a 65-year-old woman in Golaghat, named by police as Dhraupadi Oran, and her 30-year-old son, Sanju Oran. It is believed that instead of using ethyl alcohol the pair, who are among the dead, used methyl alcohol, which is poisonous. The deaths come less than a fortnight after 100 people died from drinking illegally made liquor in two other states. Industrial alcohol used in household disinfectants and anti-freeze was used in the concoction. Men who cannot afford to buy licensed brands from government-controlled outlets because the prohibitive price turn to hooch, which is much cheaper. It is a very profitable industry all over India as bootleggers pay no taxes and enjoy high demand. In 2011, 172 people died in a similar poisoning incident in West Bengal. Local media reported that six people were arrested and an investigation had been ordered.